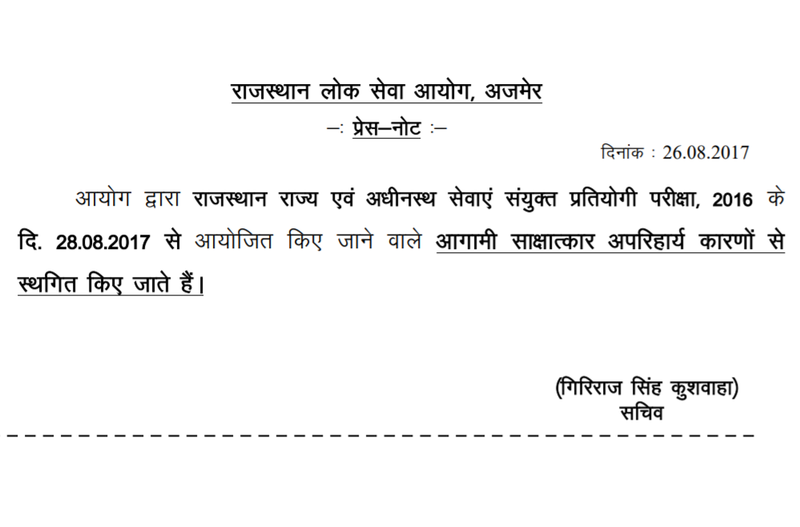 RAS Mains Exam 2016 Results is Cancelled Today, 26th August 2016 by Rajasthan High court as per Media report due to SBC reservation and and recent court decision. Court direct to issue revised results on appeal of Mansi Tiwari and others. ZeeTV Rajasthan also twitted: #BreakingNews RAS भर्ती 2016 मुख्य परीक्षा #SBC आरक्षण देने के चलते निरस्त,#हाईकोर्ट ने #RPSC को दुबारा परिणाम जारी करने के दिए निर्देश. As per our analysis it will not affect the ongoing RAS selection process, except some more candidates might joins selection process as per court judgement. However final call is by RPSC Ajmer which is uploaded on Official website of RPSC Ajmer: https://rpsc.rajasthan.gov.in/. RPSC Ajmer issued press note for RAS Mains 2016 regarding postpone of Interview due to unavoidable reason, which hope we all know know. 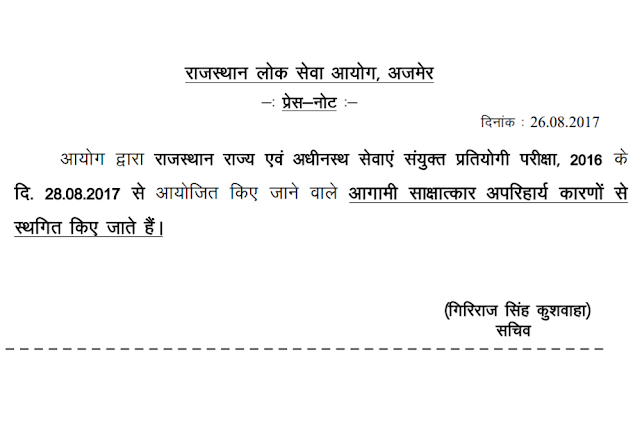 Check Press Note of RPSC, Ajmer.